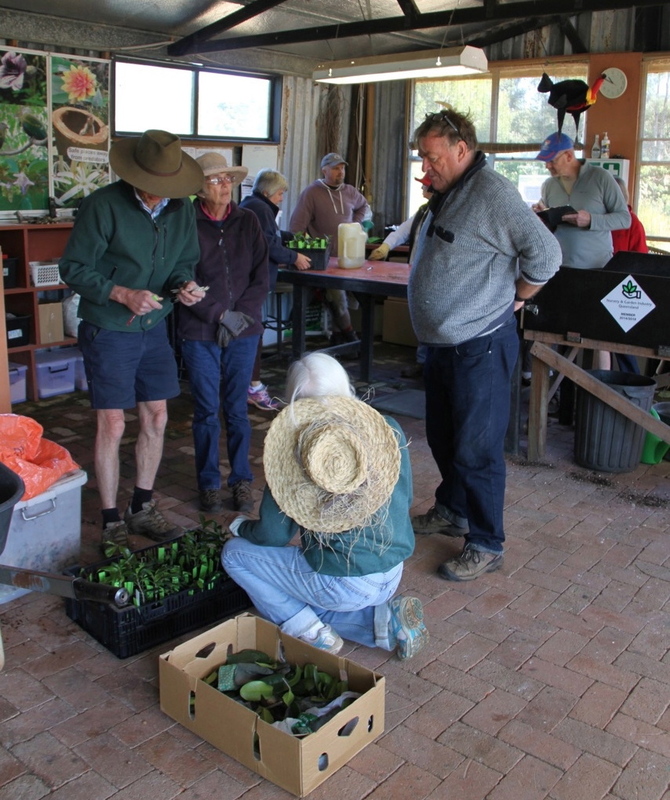 The conservation group has taken up the challenge of finding methods to propagate rare and endangered plants which are local to the Sunshine Coast. The intention is to place them back into Conservation Reserves and other similar areas, where they will have long term protection. Their aim is to ensure there are sustainable population of these species. This is a long term project. Many of the targeted species are difficult to propagate and finding suitable living material for this purpose is not easy. A good start has been made using the excellent facilities offered at Brush Turkey Enterprises’ nursery. The group meets as and when suitable propagating material becomes available.